In order to search your car at a random sobriety checkpoint in New Hampshire, the police will need probable cause to do so. If the officer suspects that the driver is using alcohol or drugs, he/she can follow a process to try to obtain a warrant to search the car. If the officer smells the strong odor of alcohol on the driver or coming from the car, this could warrant suspicion. If so, the driver will be asked to exit the vehicle and complete sobriety tests. If the sobriety tests are failed, suspicion arises.. In order to go any further, the officer must justify the need to search the vehicle in order to do so without a warrant. Some possible probable cause could include odors coming from vehicle or driver, the visual sight of incriminating evidence that is in plain view, or consent of the driver. An officer might also search a vehicle after an arrest pursuant to an inventory search exception to the warrant requirement. While it is not likely for a vehicle to be searched without a warrant, there are exceptions to the rule. 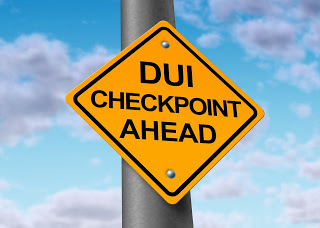 The bottom line is, while a vehicle search is not likely to take place at a sobriety checkpoint, it is possible and completely legal for police to search the vehicle if they have supporting reasons to do so. It is important to plainly and respectfully make it known to the officer that you are refusing consent to search your vehicle. If you find yourself in this predicament, a qualified DUI lawyer in New Hampshire can help determine if the search was justifiable or not.